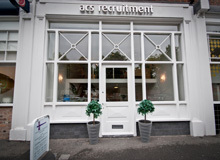 We are currently recruiting for a Practice Manager for a Solicitors firm in Merseyside. Compliance – SARs, HM Customs VAT regulations, Complaints Management, Health & Safety, Money Laundering, Data Protection, Code of Conduct regulations, CQS accreditation. • Prepare fee earner and management monthly accounts reports including but not limited to Trial Balance, Balance sheet, P&L, Bills analysis, aged debts, new matters, no movement and matter balances. • Ensure that there are appropriate internal financial controls operating within the practice. • Ensure that the firm complies with the current Money Laundering legislation and regulations. • Liaise with the firm’s Accountants as required and provide all information required for the preparation of the annual accounts and the conduct of the Solicitors Accounts Rules audit. • Liaise with fee earners and monitor their aged debts, matter balances and to provide support and training where necessary. • Manage all personnel files to include contracts, grievances, disciplinary and absences whilst ensuring appropriate cover at all times. • Manage recruitment including identification of role vacancies, preparation of job descriptions, advertising and interviewing and assessing candidates. • Maintaining continuous professional development and training records. • Ensuring compliance with Employment Law and Health & Safety Legislation. • Maintain appropriate insurance policies, including the renewal of the firm’s indemnity insurance collecting all necessary data for proposal forms. • Ensure practice compliance with the Data Protection Act. • Negotiate with suppliers to ensure that the practice obtains good value for the services it receives. • Ensure telephones, printers; computers, faxes, copiers and other office machinery are all well maintained and appropriate for the needs of the practice. • Renewal of Practising Certificate and Equality & Diversity report. • Ensure firms Risk Management policy and risk register are up to date and effective. • Manage IT within practice, work closely with IT company to push forward the IT resources. Develop IT resources within practice including the progression of the accounts software. • Day to day management of the firm’s premises and equipment. • Prior experience as practice manager or equivalent role within a professional services firm/company. • Willing and able to work as part of a team whilst accepting individual responsibility and ownership of tasks. • Confident and enthusiastic – prepared to put forward ideas and give constructive advice. • Experience in complying with Solicitors Accounts Rules, previous experience of COFA role.